This reading group guide for Terrorists in Love includes an introduction, discussion questions, ideas for enhancing your book club, and a Q&A with author Ken Ballen. The suggested questions are intended to help your reading group find new and interesting angles and topics for your discussion. We hope that these ideas will enrich your conversation and increase your enjoyment of the book. 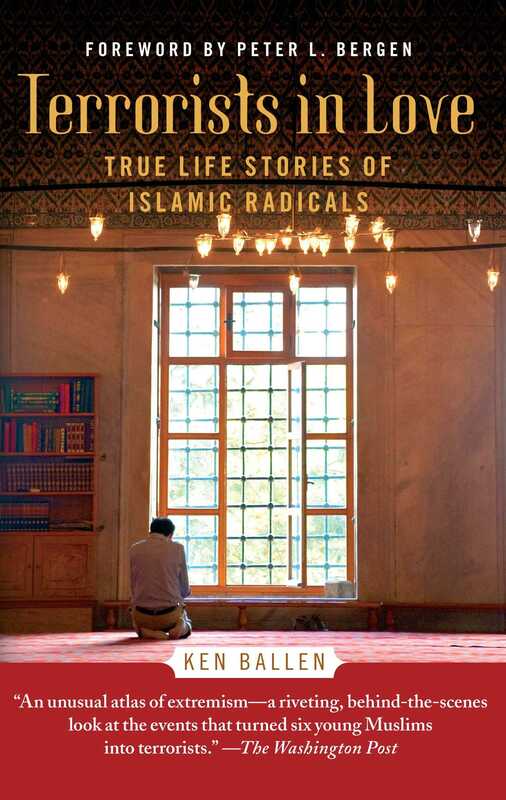 Recounting the personal stories of six current and reformed Islamic terrorists, Ken Ballen presents a moving and elucidating view into the motivations of radicals, their loves, and, for some, their ultimate regrets. Ballen was granted unprecedented access in Pakistan to current and former Taliban fighters and in Saudi Arabia to jihadists who fought in Iraq, including residents of a prison facility designed to re-integrate former jihadists into the mainstream culture. His profiles expose the very hearts of these militant jihadists, showing that there is hope for peace. 1. The title of the book is Terrorists in Love. How does love—or the lack of love—play a role in each of these stories? Why do you think Ballen gave the book this title? Do you think it the best title to encompass the stories? 2. Dreams play an important role in Ballen’s accounts of these six very different individuals. Discuss the “true night dreams” that were most salient (whether Malik the seer’s, Kamal’s utopian future, or even Ballen’s own table-turning dream with Shaheed). How important are dreams and mystical jinn to the radical movement? 3. Compare the different upbringings of the people profiled. Consider Ahmad’s differing relationships with his father, mother, and grandfather; Abby’s fast love with Maryam, and Kamal’s privileged bloodline, in your response. What role does childhood play in forming these current and reformed terrorists? In your opinion, do formative moments of youth account for their commitment to jihad? 4. After reading these stories, how do you interpret radical jihad as it relates to orthodox Muslim practice? How are terrorist groups, like Al Qaeda and the Taliban, distorting the Quran’s message, or following it? 5. Zeddy cites his mission to die for God as rooted in a “logic of emotion” (p. 125). How does emotion affect the six radicals’ initial pledge to terror? 6. Of Malik, Mullah Omar’s personal seer, Ballen writes: “He just wanted to do God’s work. He had fought for jihad too but kept wondering who the real enemies of God were now” (p. 109). Why do you think his interactions with Pakistan’s Inter-Services Intelligence (ISI) officers made him feel differently about his mission? 7. Discuss the various ways in which these radicals’ opinions about holy war and terror changed over time. Can you attribute their transformed attitudes to one specific incident or moment, like a new interpretation of the Quran or a realization of equality and compassion? Why or why not? 8. Some of the interviewees are murderers and terrorists. How do their accounts change your view of the Muslim radical? Did you feel any sympathy or compassion for any of the six individuals profiled? Can you “forgive” them, knowing what you now do about their struggles and paths? Why or why not? 9. Of Kamal, Ballen writes: “He now began to see that Al Qaeda’s jihad fell short. Despite bin Laden’s sacrifices, his jihad wasn’t about finding the difficult struggle to better himself and others before God. Instead, Al Qaeda offered too much of a quick-and-easy path, a simple shortcut with ready-made answers that can lure someone from the long and hard true jihad of God.” After reading Terrorists in Love, do you think Kamal’s view is correct? Why or why not? 10. How have these stories of ISI corruption influenced your view of Pakistan? Consider the statement made on page 79 in your response: “Besides Saudi Arabia, Pakistan is the most important country to the future of religious extremism in the Muslim world.” Do you feel, as Zeddy suggests, that America is funding both sides of the war on terror? 11. The author poses the following question in the Afterword: “Without U.S. troops in Iraq, would Ahmad ever gone off to fight? (p. 295).” Discuss the role of American policy in fomenting radicalism as it relates to the radicals Ballen profiles in Terrorists in Love. 12. “Hope is as real as the hateful ideology of the terrorists” (p. 297). Do you agree? Explain your answer. 1. Has a dream ever served as an omen for you? Discuss any memorable or recent dreams with your group. Have any ever come to fruition? In that same vein, interpret a dream you had recently as if it were a “true dream” under the teachings of the Quran. 2. Has love or a missing love ever caused you to take an otherwise inexplicable action? How does culture affect those profiled in Terrorists in Love? How does it affect you? 3. Visit a local Muslim center to learn more about the Islamic faith and its tenants. Consider reading parts of the Quran in your meeting and discuss your interpretations of certain passages. Share your thoughts on Islam and its central messages. For reference, visit www.understanding-islam.com. 4. Read another book that documents different perspectives of the war on terror. Consider Eugene Jarecki’s The American Way of War, Irshad Manji’s Allah, Liberty and Love, or Peter Bergen’s The Longest War. Discuss how you feel about U.S. foreign policy, the current tenor of the Middle East nations, and the tensions between extremist Islamic movements and the call for peace. 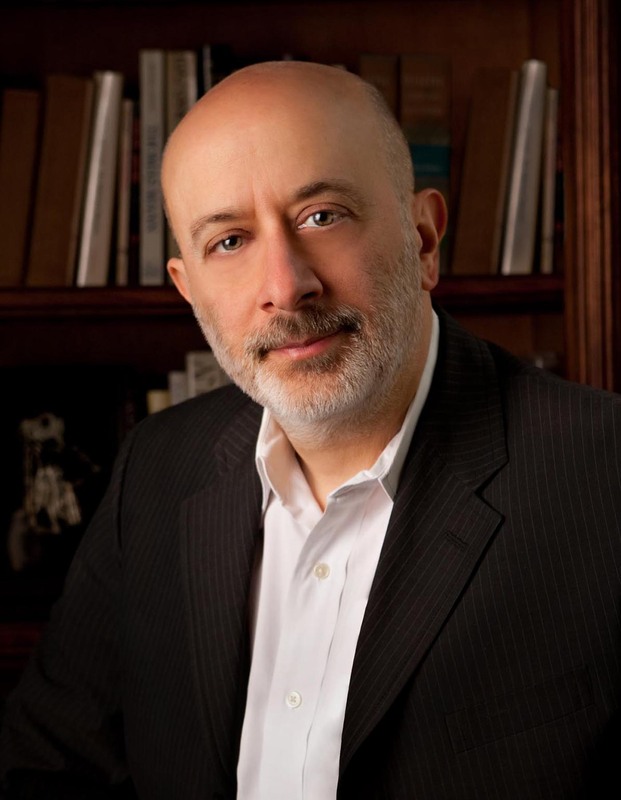 I have spent nearly two decades of my career interrogating criminals and terrorists, from organized crime and Mafia hit men, to drug dealers, child molesters, con artists, corrupt politicians, murderers, and terrorists themselves. The six individuals profiled had the most compelling stories, defying conventional wisdom. Their life stories are also broadly representative of the more than one hundred other terrorists and radicals I interviewed over a five-year period. Did your interviews change the scope of what you’re trying to accomplish with Terror Free Tomorrow, the nonprofit research organization you chair? As a federal prosecutor, congressional investigator, and president of Terror Free Tomorrow, I have often been cited as an “expert” on terrorism. Conducting these interviews, particularly of the six people featured in the book, changed everything I thought I knew. What are your feelings about Pakistan and their relation to the United States in the war on terror?